Personal history: Austin started to sit with Bella’s friends sometime during her “dark period” – she first described him as “older brother to the boy with the motorcycles” (NM6) but could not recall when he joined their lunch group. Austin caught the flu the same time as Angela and Conner (NM9). Austin was friends with several people, including Tyler Crowley (EC3) and Ben Cheney (EC6). Austin discussed the possibility of a Jacob-Edward battle with Tyler, Mike and Ben and placed money on Jacob being the victor. Austin was the only one of the four boys who did not immediately know that Jacob and Edward were arguing over Bella (EC3). Austin attended the Cullen graduation party with Tyler, Conner, Lee, Samantha and Lauren (EC17). Your source for books, movies, merchandise, latest news and much more all inspired by the Twilight Series. Buy Apple® – iPod touch® 8GB on sale! 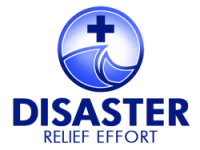 If you would like to make a financial donation to the Disaster Relief Effort around the world, please click the donate button above. Your donations will help those in need, thank you very much for your support! Quality, relevant backlinks to your web site.